One theory why Compact System Cameras (CSCs, also known as mirrorless interchangeable lens cameras, or MILC) aren’t popular in the United States is because many are too compact. Some studies have shown that consumers prefer the substantial body of a DSLR because they believe a larger size and heft equate with strong performance. But that hasn’t stopped companies like Ricoh from making even smaller MILCs. The company has just launched the Pentax Q-S1, dubbed “one of the world’s smallest and lightest digital cameras with interchangeable lenses” (which suggests it isn’t the world’s smallest, but it’s still small like a pocket camera). 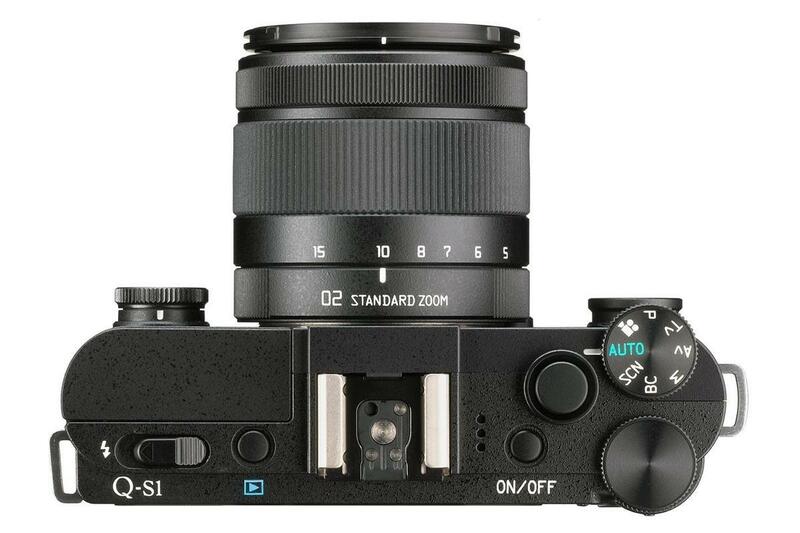 Designed to be an everyday camera, the Q-S1, with its rangefinder-esque looks, is an evolution of the previous Q7. The new camera has a 12.4-megapixel, 1/1.7-inch back-illuminated CMOS sensor – it’s not a big sensor like those in larger MILCs, but more in-line with high-end compact cameras. But Ricoh claims the sensor and Q Engine image processor deliver “high-quality images, high-sensitivity shooting to a top sensitivity of ISO 12,800.” There’s a built-in shake-reduction system “using a state-of-the-art gyro sensor.” A dial on the front lets you easily pick a filter (Smart Effect), as well as other creative settings like bokeh control and post-processing tools (the dial is also customizable for your preferred functions). Besides Program mode, the camera offers Aperture Priority, Shutter Priority, and Manual modes. There are currently eight different Q-mount lenses to choose from. The Q-S1 features high-grade aluminum components and a new textured synthetic leather in the body design. 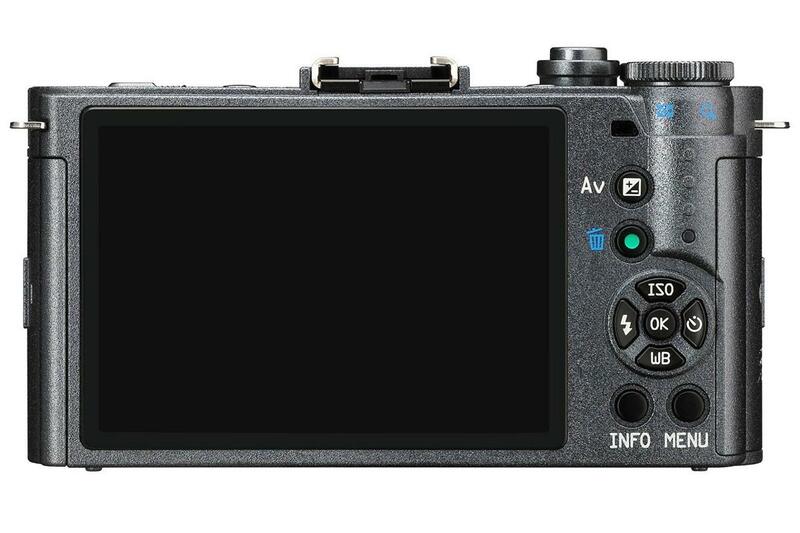 The body weighs approximately 7 ounces with the battery, and measures approximately 4.1 x 2.3 x 1.3 inches – that’s roughly the same size as the Sony Cyber-shot RX100 III we just reviewed.. It has a 3-inch LCD that’s rated 460,000 dots, and coated for anti-reflection; the resolution is a bit low, and there’s no touch capability nor can it tilt, but Ricoh says it has a wide 170-degree view. The Q-S1 shoots Full HD 1080 movies at 30 frames per second. Unlike many new cameras, there’s no Wi-Fi, but it supports Eye-Fi memory cards. No, the Q-S1 is not meant to replace your higher-end camera, but it’s more of a companion or a step-up from pocket cameras and cameraphones. Targeting the latter customer base, there will be a custom color service similar to the one offered with the Q7; the retail version of the Q-S1 will come in four colors, but you can pick from 36 body and grip color combinations if you use the customization service online. The Q-S1 will hit stores and Ricoh’s online store in August, and will list for $500; the price includes a Pentax 02 3x zoom lens, but you can get the Q-S1 for $400 without a lens, if you’re upgrading from a Q7. But Ricoh isn’t the only player in the compact MILC game. It’ll compete with Samsung and Panasonic, two companies that also make similarly sized cameras. Quindim, quiche or quesito? What will Android Q be called?